Is cutting Opal free trips a public transport bait and switch? Commuters could desert crowded light rail. Waiting time cut at peak times. 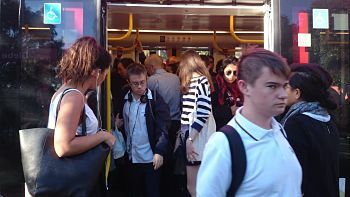 NSW Transport Minister unafraid of complaints. Cheaper travel on Sydney’s light rail. Hardworking NSW pensioners left empty-handed.